We work with individuals and families who want to preserve the assets they’ve worked hard to build and enjoy their lives in retirement. Our goal is to be your lifelong allies and the trusted guides you turn to for every financial question. Whether you are years away from retirement or have already made this transition, we will support your unique needs and goals with hands-on, professional service. Your financial life extends far beyond your portfolio. Our support builds a clear view of where you stand and where you hope to go. Once we understand the big picture of your life and goals, we bring to life your detail-driven, customized strategies. As an independent firm with fiduciary responsibility, we support your best interests with objective advice and access to the full universe of investment opportunities. When you build a relationship with our team, we are here for you and your family for the rest of your life and for generations to come. We care for our clients like family and enjoy hosting regular events to stay in touch and deepen our bonds. 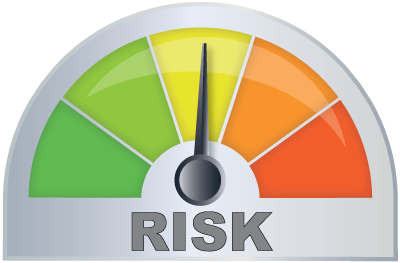 Are you taking the right amount of risk? We often meet people who feel concerned or uncomfortable when thinking about their financial futures. From our experience, people worry about their income or long-term goals when their wealth management doesn’t align with their risk tolerance. We believe you should feel comfortable in retirement. This confidence begins with taking the right amount of risk for your financial life. Using sophisticated technology, we can help you pinpoint exactly how much risk you’re comfortable with and work to align every aspect of your wealth management with that risk level. Discover your unique risk tolerance today. Find Your Risk Number®. See how our family firm can help your family thrive for generations with caring, experienced guidance. Discover support for each stage of your financial life and every one of your greatest goals. Learn more about the current financial world and find answers to your pressing questions in our library of whitepapers, videos, and more. Automatically receive the Weekly Market Update.